Hey, Texplainer: Campaign workers for Laura Moser, a Democrat running for Congress in Houston, recently unionized, which guarantees them benefits such as health insurance, paid sick days and paid leave. How come most political campaigns don't already do that for their employees? 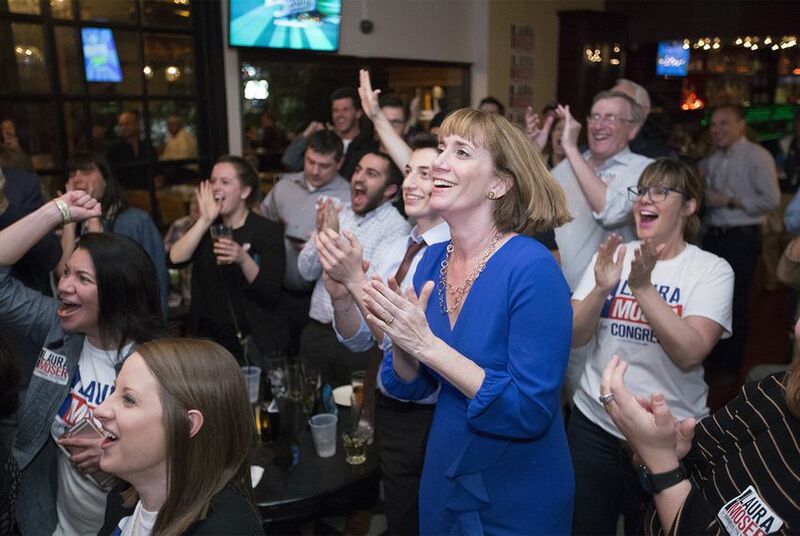 In late March, the campaign staff for Democrat Laura Moser, who secured a spot last month in a primary runoff to take on Republican U.S. Rep. John Culberson of Houston, announced they had unionized. Though the workers initiated this, Moser’s support of the move aligned with her campaign’s message. Since announcing her congressional bid, the Democratic activist and journalist has run as a progressive advocating for things like universal Medicare, and improved access to paid family leave when a baby arrives, a child falls ill or an aging parent experiences a medical emergency, according to her campaign website. Texas is one of 28 "right-to-work" states in the nation, which means employees aren't required to pay dues or join unions — and those who do join unions and associations must opt in to have membership dues automatically deducted from their paychecks. Approximately 5 percent of working people in the state are unionized, according to Ed Sills a spokesman for the Texas AFL-CIO. Moser’s campaign has said its the first in the state and one of just 10 in the nation to unionize. But this raises the question: Why aren’t Texas candidates already giving these benefits to their employees? A spokeswoman for the Moser campaign declined to comment on how much her staff’s unionizing will cost. Another reason why unionized campaigns aren’t the norm? Time off, in most cases, is an “unaffordable luxury,” Stother said. Minh Nguyen, a former campaign worker in Texas and current member of the Campaign Workers Guild, an independent national union representing non-management workers on electoral and issue-based campaigns, said he heard about exactly those kind of sacrifices when he signed onto campaign work. Luke Macias, a GOP political consultant who counts some of the Texas Legislature’s most conservative lawmakers as clients, said people who tend to get involved in political campaigns understand the sacrifices involved. A third hurdle for political campaigns trying to unionize: Campaign workers are, by definition, temporary workers. And despite the long hours many campaign workers put in, some question whether it makes sense for candidates to set up and pay for benefits for workers who might only be on a campaign for a few months or weeks. The bottom line: Cost, time restraints and the transient nature of most campaign workers are among the reasons why more political campaigns aren’t unionized. But advocates argue that unionized campaigns reap some benefits, such as keeping employees from getting burnt out. Also, labor unions typically look more kindly upon unionized campaigns in the endorsement process.